Do you want to elevate your game? Do you want to improve your skating, your passing, your shooting, your decision making, your hockey IQ? Do you want to get faster, stronger, fitter? Doug Kirton can get you there. Private or small group lessons are taught by Doug Kirton at Sno-King Renton and Sno-King Kirkland Ice Arenas. Find out more about locations, times and fees. Doug Kirton has an extensive hockey background and a strong passion for the game. 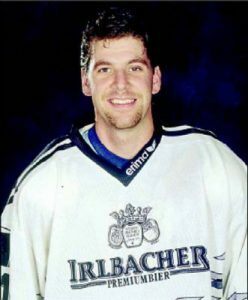 He has been successful at every level of hockey, playing professionally in Europe and earning many awards along the way. Doug has been coaching at summer camps in the U.S., Canada and Europe and teaching professionally for 15 years. Find out more about Doug’s hockey career and teaching credentials. The essence of Doug Kirton’s coaching philosophy is based on the long term development of an athlete’s technique, tactics, and mental approach. He focuses on teaching new skills as well as enhancing existing skills. His approach is to learn about each individual athlete, because not every athlete responds to the same method. He determines what motivates the athlete through continuous communication and weekly recaps. Doug strives to get players out of their comfort zones, to find out what they like the least and need the most help with. Contact Doug Kirton for more information or to schedule a lesson.